All lovers of human rights must turn their attention to the Forum in Abuja as it is where African experts and advocates would have their say on issues confronting digital rights in Africa and evolving and strengthening Africa-led initiatives towards entrenching digital rights on the continent. As a sort of New Year gift to the online media community, Nigerian security agents arrested Tim and Daniel Elombah, the publisher and editor of elombah.com, for allegedly publishing a content the police hierarchy considered offensive. That would not be the first time a journalist or publisher would be arrested for publishing content online in Nigeria. institutions found “offensive”. For instance, a popular blogger Abusidiqu was arrested in 2016 by operatives of the Economic and Financial Crimes Commission (EFCC), a law enforcement agency in Nigeria. According to a source, Abusidiqu’s arrest was connected to his posts on EFCC boss, Ibrahim Magu. According to the spokesperson of the Agency, Abusidiqu was arrested for offences bordering on cyberstalking. online is simply endless. While the digital space has democratised access to information and information dissemination means, governments and powerful individuals in Africa continue to put unnecessary hurdles in the way of progress. In Nigeria and Egypt, the national governments have asserted their power to restrict access to websites they consider subversive without judicial oversight. This power that is unknown to the law, at least in Nigeria, was behind the restriction of access to some twenty websites in Nigeria, including the popular news site, naij.com, last year. Egypt is the clear leader in this department as it has permanently restricted access to over four hundred websites. Free speech online is not the only digital right that has been under attack in Africa. Access to Internet service has been under severe attack. Cameroon has repeatedly shut down Internet services in the Anglophone regions of the country in a futile bid to scuttle protests against the government. the health of democracy and exchange of ideas. Tanzania, for example, recently introduced a regulation that would require bloggers to pay $900 every year as some sort of license fee. This regulation, if allowed to be implemented, will effectively shut down the country’s burgeoning online media space. A couple of days ago, Burundi Media Regulator suspended the online commentary column of Iwacu newspaper, for three months. According to the Director of the newspaper, “the column is known to be a platform for criticism over government’s action, the country’s situation by Burundians irrespective of where they live.” Also, the online weekly newspaper Iwacu is said to be one of Burundi’s few remaining independent media outlets since 2015, when the country’s radio stations were shut down on President Pierre Nkurunziza’s orders. Free speech online is not the only digital right that has been under attack in Africa. Access to Internet service has been under severe attack. Cameroon has repeatedly shut down Internet services in the Anglophone regions of the country in a futile bid to scuttle protests against the government. In fact, in 2017, the Internet was off in parts of Cameroon for almost as many days as it was on. For many people on the continent, activities such as elections, public examinations and protest could mean comprehensive Internet blackout. Ethiopia, Togo, Somaliland and Cameroon are just some of the countries that have shut down the internet in the last two years. Social media and messaging platforms including WhatsApp, Facebook Messenger, and Vibe are currently blocked in Chad amid political tension. This is not the first time this year. Chad ordered an Internet shutdown in response to national protest action backed by trade unions and civil society organisations using social media. According to a report released by the Collaboration on International ICT Policy for East and Southern Africa (CIPESA) last year, Internet shutdown has cost Sub-Saharan Africa up to US$237 million since 2015. This is to highlight the economic implications of the trend of digital rights violation in Africa. The 2018 edition of the forum is scheduled to hold from April 24 to April 26 in Abuja. The Forum could not have come at a better time in 2018 as many African countries including Cameroon, Zimbabwe and Mali are preparing for elections. Election periods constitute a vulnerable period for digital rights as governments leverage the periods to curtail citizens’ rights online. The persistent attacks on digital rights and the poor policy framework for rights protection have led to civil society efforts geared towards resisting and ultimately correcting the sad situation. One of such efforts is the Internet Freedom Forum. For the last six years, Nigeria has hosted the pan-African forum, dedicated to conversations on Internet freedom on the continent. The Forum is convened by Paradigm Initiative and supported by organisations including Microsoft, Google, Ford Foundation, Premium Times and The Guardian. The Forum brings together experts from various African countries to discuss the state of digital rights and Internet freedom on the continent, and evolve effective solutions to problems confronting rights online. For instance, the 2014 edition of the Forum gave birth to a Digital Rights and Freedom Bill that was recently passed by the Nigerian legislature and is currently being studied in other countries for possible replication. 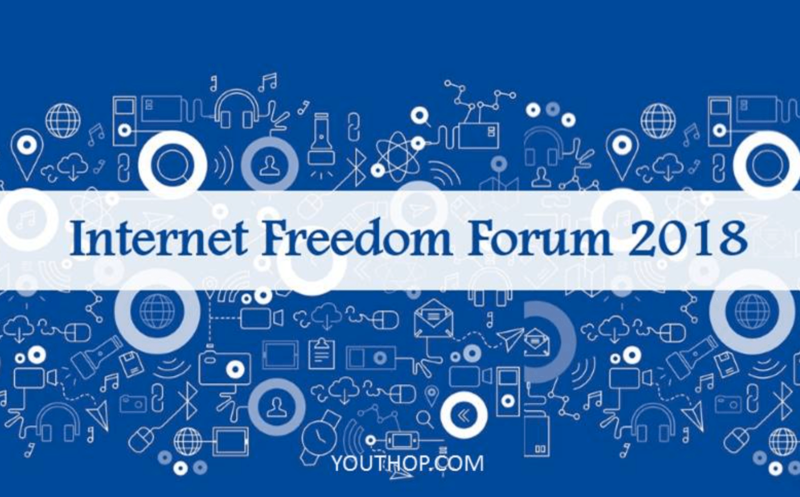 The Internet Freedom Forum provides a veritable platform for Internet stakeholders in Africa and those whose work focuses on Africa to discuss and proffer solutions to the challenges. It is a meeting point for government, civil society, journalists, open web advocates and other Internet stakeholders. The 2018 edition of the forum is scheduled to hold from April 24 to April 26 in Abuja. The Forum could not have come at a better time in 2018 as many African countries including Cameroon, Zimbabwe and Mali are preparing for elections. Election periods constitute a vulnerable period for digital rights as governments leverage the periods to curtail citizens’ rights online. The forum also comes at a time when the Facebook-Cambridge Analytica scandal is at the centre of conversations globally and most importantly the revelations of the data analytics company’s attempt at shaping previous elections in Kenya and Nigeria. Clearly, delegates will have their hands full discussing better methods of protecting digital rights, not only from the antics of government but also from businesses with less-than-ideal data privacy culture. All lovers of human rights must turn their attention to the Forum in Abuja as it is where African experts and advocates would have their say on issues confronting digital rights in Africa and evolving and strengthening Africa-led initiatives towards entrenching digital rights on the continent.